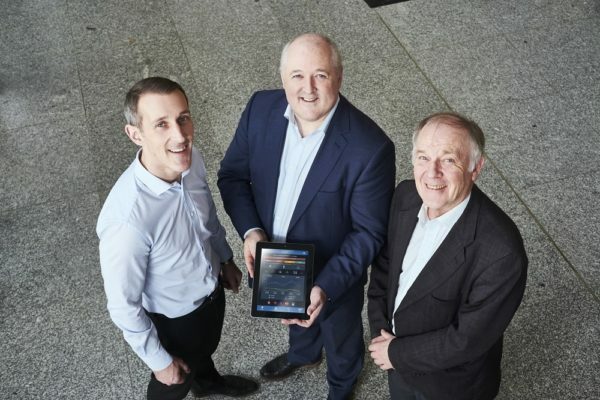 Local Dundalk business Tapa Healthcare has been applauded for both its ground-breaking technological advances and its charitable outreach in recent years after donating its handheld medical software device to hospitals in Africa. Its 'Rapid Electronic Assessment Data System,' (READS) uses clinical information and multiple algorithms to help predict and manage deterioration in a person's condition including sepsis, stroke and a heart attack. Having received support from the Co-Innovate Programme, led by InterTradeIreland, we speak with the company’s CEO, Dr Peter Donnelly to find out more about his collaborative approach to doing business and what is next on the agenda for this medical start-up. A ‘spin out’ from Dundalk Institute of Technology, Tapa Healthcare was co-founded in 2015 by Peter and colleague Dr John Kellett. The company has continued to develop its product range and it is used in hospitals in the UK, Ireland, Europe and Africa. ‘READS’ is designed to tackle some of the biggest causes of preventable deaths in hospitals such as sepsis, stroke and medical errors. Through the Co-Innovate Programme, Tapa Healthcare has received free mentoring and will potentially receive funding to embark on a collaborative cross-border research project. The five-year €16.6 million project which has just marked its first anniversary, aims to boost collaboration between small and medium enterprises across the border counties in Ireland. So far over 800 local companies have taken part in Co-Innovate workshops, with almost 500 going on to complete a business health check. Over 40 businesses have also taken part in an intensive 10-day mentoring session which provides participants with specific action plans to develop research and innovation capabilities. Co-Innovate oﬀers collaborative research and innovation project support via 5 different strands of assistance. The graduated levels of support include free innovation workshops, individual business health checks and one-to-one expert mentoring. Companies can also benefit from project support with academics and cross border business to business partnerships.